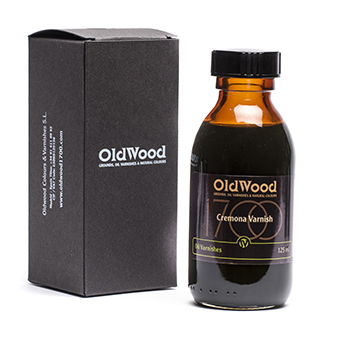 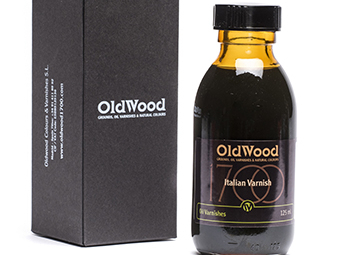 The incorporation of processed thickened Spanish turpentine, Baltic burnt amber, and top quality linseed oils to the Cremona Vernish, allows enhancing the suppleness, resistance and elasticity properties of the varnish. The shade of the coating is slightly lighter than that the one in the Classical Amber Varnish, but just as warm and luminous, obtaining an even more unctuous and prolonged application and achieving excellent levelling, drying and transparency parameters. 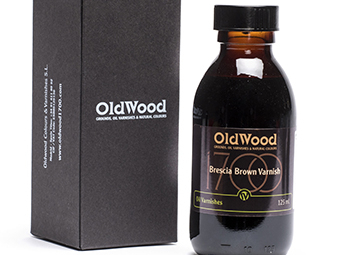 Cremona Varnish can be diluted with solvent and OW Thinner (see “raw materials”).